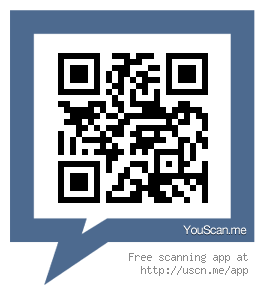 uTalk free download for Symbian s60 3rd and 5th edition. uTalk is a unique service for instant messaging! 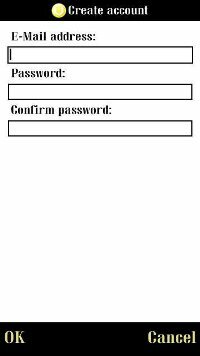 uTalk allow you to send text, voice or multimedia messages even when you're not at home and cannot be near your computer. 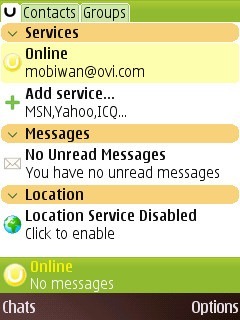 uTalk combines the most popular chat clients (ICQ, iChat, AIM, Google Talk, Yahoo! 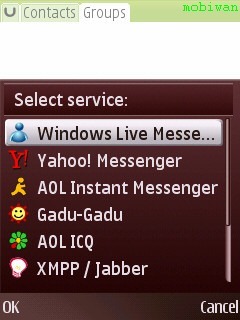 Messenger, Gadu Gadu, Jabber, Facebook, Windows Live Messenger) and allows you to use them simultaneously! .im trying to download it now.it is so exciting. Was able to create a group about 3 months ago but just went to make a new one and it won't let me create one of any name and they don't already exist. All I get is an option to see the features for all the usable devises...... How do I create a new group now! !